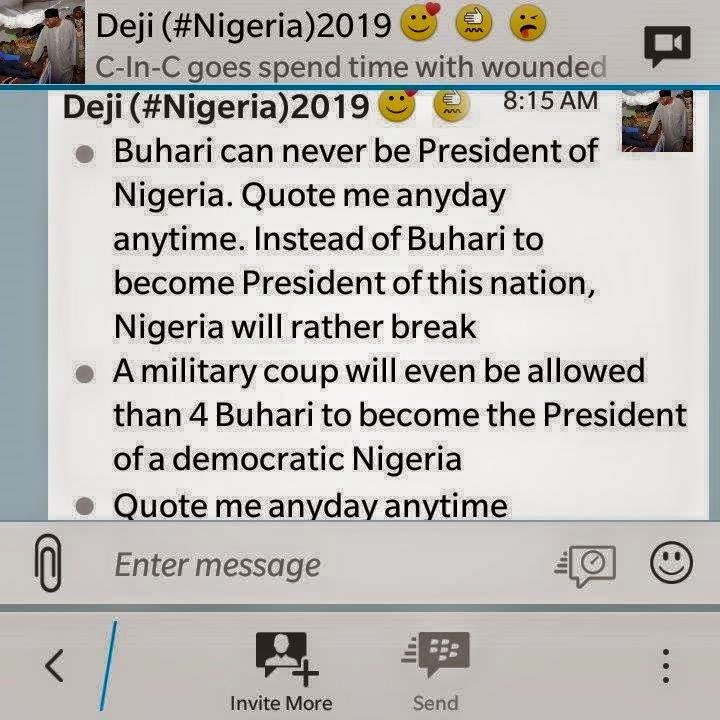 My attention has been drawn to an article circulated with the above caption written by one IG Wala and posted on NewsRescue wherein I was alleged of haven said that Military will take over if General Buhari wins the forth coming elections. The so-called evidence attached is a munched convoy purported to be mine. I challenge the authors of the munched convoy to come forward now and prove this fraudulent munched convoy. 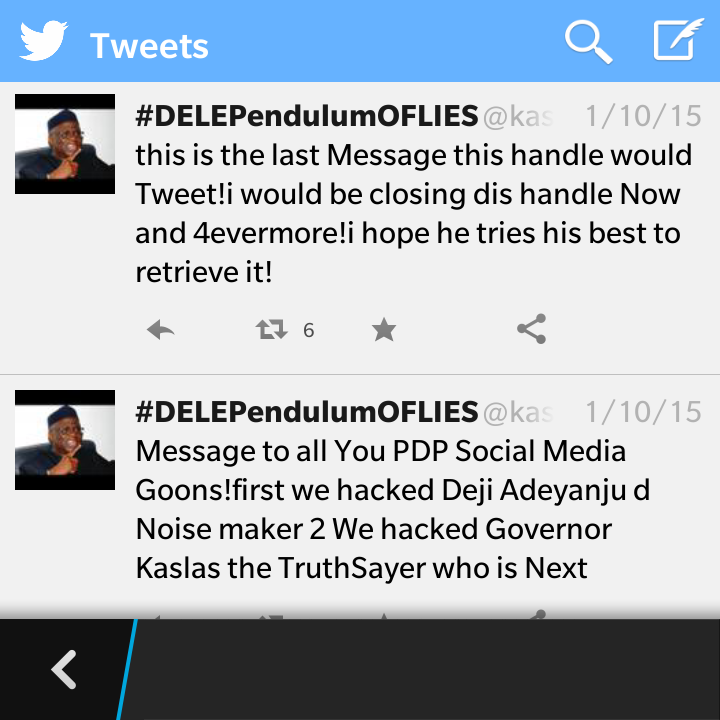 I tweeted this yesterday at 8.13am and all of a sudden another one they are circulating to be a BBM chat emerged. These APC boys can do and say anything just to justify their quest and struggle for power. 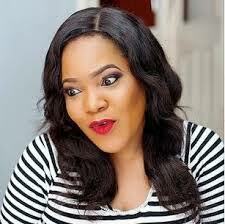 Anyone seen to be supporting President Goodluck Jonathan and very vocal is a threat to them and their propaganda war. I know I am a serious threat to their propaganda business so I am not surprised by any level of blackmail. This is not going to be the first or last time I will be blackmailed. I have been called all sorts of names including a government sniper, killer, assassin, etc just because I am one of the leading online supporters of Jonathan. The bad news for them is that I will not stop what I have been doing so they better brace-up. Even if I said what is in the alleged munched convoy which is not the case, what is new about that? What hasn’t the likes of Elrufai, Buhari and Amaechi not said about 2015 elections? Elrufai has posted comments of coups, Buhari threatened bloodshed and Amaechi threatened parallel government. There’s nothing new about all this so called talk. They are stale.The originator of the article tried to link me with Dr. Doyin Okupe to give thearticle a propaganda touch and I ask him a simple question: “was he there when Dr. Okupe employed me as his staff?”. These are the same boys who hacked my Twitter account few weeks ago because they felt I have become too vocal and loud against their presidential candidate and their party. I will not stop until truth prevails. Find attached proof of how they hacked my Twitter Account few weeks back.